Packaging Details **Attractive Box **Extra Safe Packing Material **Company Certificate for Authentication of Material Used in the Item. 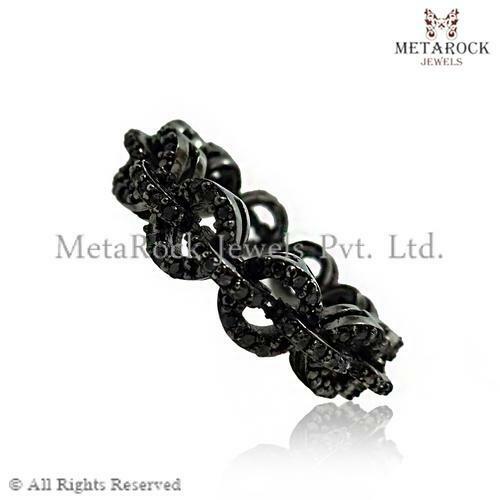 Known for manufacturing, exporting, supplying and wholesaling and trading an extensive range of supreme quality Designer Jewelry Collections, MetaRock Jewels Pvt. Ltd. was set up in the year 2013. The product range offered by us is inclusive of Pave Diamond Earrings, Diamond Gemstone Earrings and Diamond Knuckle Rings. By using advanced tools and equipment, our professionals design these jewelry items in compliance with the prevailing market trends. Available with us at industry leading prices, these jewelry items are highly appreciated among our customers for their trendy design, impeccable finish, lightweight, distinctive appearance and excellent sheen. These jewelry items can be customized as per the specifications and requirements provided by the customers. Backed by our diligent workforce and well-equipped infrastructural facility, we have been able to cater to huge clientele across the globe. Some of the countries where we successfully exported our product range are USA, Europe, Asia, Brazil and Mexico. We offer our customers with multiple modes of payment such as cash, online and credit cards.